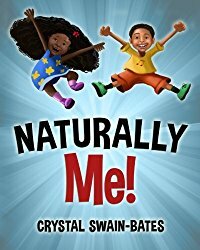 Today’s interview is with author Crystal Swain-Bates. 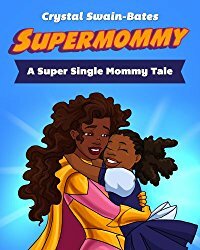 A native of Atlanta, GA, Crystal Swain-Bates is an author and the owner of Goldest Karat Publishing, a boutique publisher that aims to fill the diversity gap in traditional publishing by providing readers with high-quality books featuring characters of African descent. 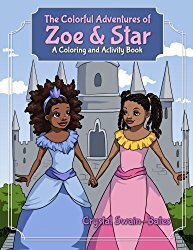 Crystal’s children’s books include “Big Hair, Don’t Care”, “Naturally Me!”, “Supermommy”, “The Colorful Adventures of Zoe & Star”, “The Colorful Adventures of Cody & Jay”, and the natural hair inspired coloring book “Color My Fro”. Crystal holds a Master’s degree in International Affairs from Florida State University and is an avid world traveler. Don’t write for everyone. Know what demographic you’re targeting. It’s important to have a good support person. 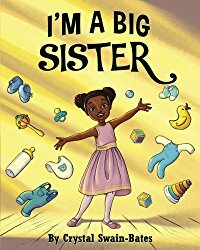 It made all the difference when Crystal published her first book. With her Mom by her side, she gained the confidence to approach stores and put herself out there. And to be proud of her product. Get out there! If no one sees your books, no one can buy them. 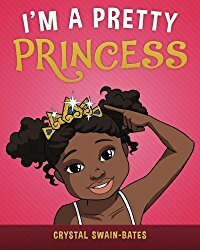 Crystal is confident that when a child or parent sees her book in person, they are more likely to buy it. Crystal did lots of festivals in the early days. Now she is much more selective, attending only bigger festivals where there are at least 3,000 people attending, and events where her target audience are. Also, you never know who you will meet: one time Crystal was lucky enough to have her books chosen as props for a television show. Live events are also a great way to get real-life feedback on your books. People will comment on the covers, book quality and the price while at your stall – great information that you can learn from and apply. Crystal takes about 80-100 of each book title to festivals she attends. It’s helpful when your book has a theme and a good description that describes the benefits of reading the book. 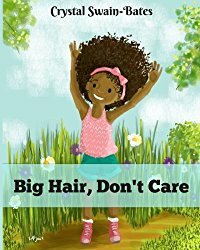 “Big Hair Don’t Care” has a theme that really took off. It ended up being listed in many places including popular blogs and other key lists such as the Huffington Post. This hugely increased the visibility of the book. 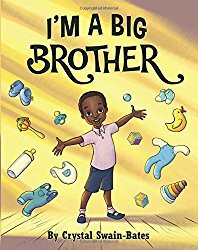 Don’t take offense when family and friends don’t buy your book/s. Go and find your target audience instead. You are the brand so it’s important people like you. 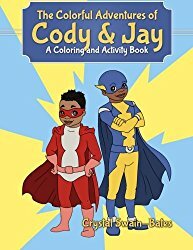 Crystal prides herself on being an accessible author. When people email or reach out, on social media, Crystal always responds. She isn’t salesy, but instead focuses on giving value. She’s never too busy to interact with and respond to her fans and readers. You should never just have a book. Use your illustrations to create t-shirts and other products. Crystal even has a paper party set she sells. You can see her products at www.browngirlsclub.com. Stop seeking perfection in your book. Your book will never be perfect. Good enough, is good enough, otherwise, you’ll never have anything to sell. 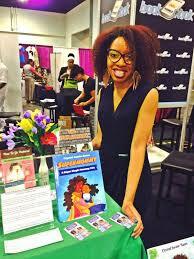 Have a website URL such as www.booksbycrystal.com that takes people straight to your Amazon Page. 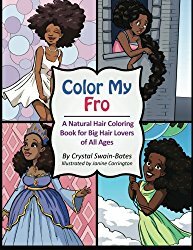 You can find Crystal online at www.crystalswainbates.com, follow her on AMAZON, and get social with her on Facebook and Twitter. Crystal also offers Author Coaching. You can find more information about it HERE.